The Lawrence segment is not to be completed until 2025. Ouch. Theres going to be alot of pain getting through all the detours but it needs repairs more than the far north main because for one all the key stops like Loyola and granville are already accessible. The flyover seems necessary. Dont know what it will do for the community but similar areas like 18th and state seem to be thriving so housing will come back it will just build around it. Straightening all those goofy turns north of clark jun should speed up the traffic. That will help that already congested corridor. CTA claims that they will get eight more red line trains per hour from the flyover. I'm not sure if capacity will increase for Brown/Purple, as those routes are also limited by capacity problems on the Loop. The flyover will make Brown and Purple line rides slightly faster though. I think your 18th & State comparison isn't valid. When originally built,the Dan Ryan and SSM trains ran on separate tracks and didn't cross over each other. While eliminating Red Line conflicts, Brown and Purple conflicts continue. His comparison is only about property values. 18th and State area was about abandoned in about 1969. Now it is the focus of the South Loop, and a block or 2 away from the proposed Neighborhood 78. I didn't think that the Clark Flyover would fly because the environmental statement would have to include the cost of demolishing the buildings along Wilton, including the condo, but since CTA got the money to do that by now, that's not going to be a deterrent. That's not a flyover??? I was eyeing it the other day and looking how the piers were engineered all along the sb crosswalk and thinking that it wasnt really engineered that bad. They eliminated an over the street concept which really detracts from the street itself. While it is a big structure this is the city and things like this can happen. I think overall it was built in a best taste scenario. Why should wrigleyville get special treatment. Flyovers have been built in Englewood and no one complained. Just because someone with clout might live there doesnt make it immune. Its feeding the needs of the many for years to come. 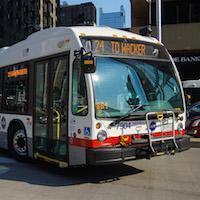 We should be happy cta is doing something about it. I know south siders are still waiting for the 130th extension. They wait and wait and wait. So when is it coming? I'm not saying 18th isn't a flyover. Neither am I complaining about aesthetics concerning the Brown Line flyover. I just thought the Brown Line flyover wasn't necessary and I don't believe CTA can add 8 train in hour during peak times because of a flyover. A 30 second wait for a Brown Line train to pass isn't that big of a deal. I just thought the Brown Line flyover wasn't necessary and I don't believe CTA can add 8 train in hour during peak times because of a flyover. It's undoubtedly 4 trains each way. A 30 second wait for a Brown Line train to pass isn't that big of a deal. But with the Brown Line running every 4 to 6 minutes (10-15 trains/hour each way; I suppose only NB Brown Line is relevant) during rush hour, it adds up. The EA claims that currently the Red Line runs 21-23 TPH (schedules show 20 TPH - every 3 mins) so increasing by eight to 30 TPH (2 mins) seems to be realistic. Once the flyover is added, the limiting factor of the Red Line will be the terminals at 95th and Howard. Currently the shared Brown/Purple between Belmont and the Mart is in the range of 26-27 TPH, IIRC. The brown line flyover is alot more than just the brown line. The current config is blocking all sb and nb traffic through clark jct. So it affects all lines. Plus the curve straightening will help alot. You could conceivably have 35 -40 mph runs between addison and belmont. Plus the traffic then spirals into other delays like red line north delays which then puts up to a 3 train crowd at belmont nb. They try to hold trains back if there bunched but then that screws around with scheduling at kimball so although it may not seem like a wise thing doing the flyover, logistically it is. Yeah they are going to need to prep if they want to shut down track 1. Track 2 is going to have to take the brunt of it. Good news is that the purple line only runs in the rush. They probably should just let the trains switch over south of belmont red instead of north. Regardless though they are going to have delays. It going to be like having 2 clark junctions back to back. It will be interesting. You know if they could put a switch in north of clark jun at the 6 car mark. They could get rid of that delay for a little bit of time but they would probably want to do the whole track one at one time. Might be smarter to build the flyover first get rid of the brown and work on the structure then. Lots of planning will be needed. They are still tearing down buildings on clark. Took this pic yesterday.